The function of the Planning Board is advisory with authority to approve site plans, subdivisions plots, special permits, or other development approvals. Members are appointed to a five-year term. The Planning Board meets at Village Hall on the 3rd Monday of the month with workshops on the preceding Wednesday. 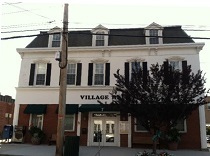 The Planning Board secretary can be contacted during Village Hall hours at (845) 782-8341 ext. 131.